£12 / £8 conc + booking fees, including performance of OK Future by Lucy Suggate and Connor Schumacher. 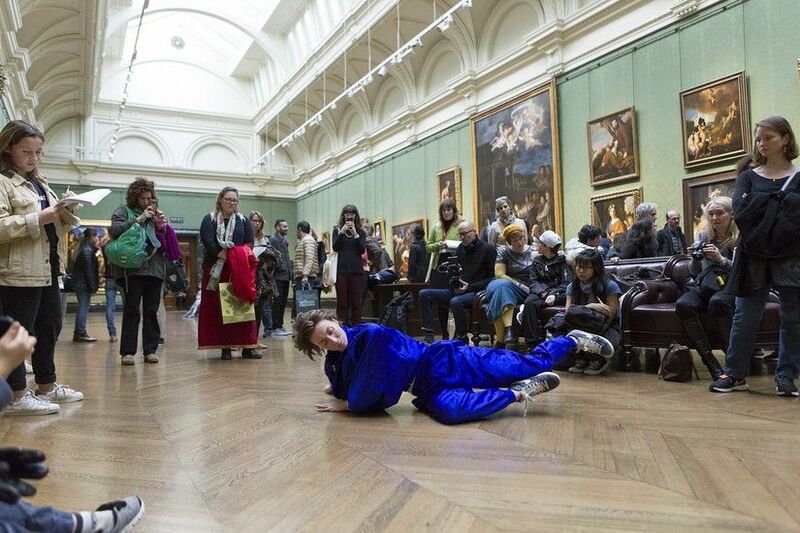 Save Event: Dance and Art Forum: Why Dance in Museums? Share Dance and Art Forum: Why Dance in Museums? This afternoon of presentations and discussions looks critically at the recent profusion of dance in museums, galleries and international art events. Siobhan Davies Dance has recently created significant work in this area – our touring work material / rearranged / to / be, our three-year Dance Artist / Curator Mentorship Scheme, the Creative Europe collaborative project Dancing Museums, and the publication Who Cares? Dance in the Gallery and Museum. All of these have raised questions about the value of these appearances and encounters and about the opportunities and challenges visual arts contexts present for dance and choreography. What does the dancing body do for the museum? What does the museum do for the dancing body? The day aims to articulate key concerns for further investigation in relation to this rich area of practice. Join Lucy Suggate and Conor Schumacher to imagine a future where everyone moves together, in a new work informed by their experiences with the Dancing Museums programme.